Another nice weekend of pottering around at home, bit of exercise and a lot of racing to watch plus a nice smoke each evening to look forward to! Both smokes were a first for me and both bought about 10 days ago. 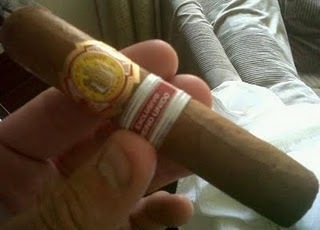 The first was El Rey del Mundo Choix de L Epoque 2009 (4 3/8 by 52) this was a “UK only” release back in 2009. I have always wanted to really like El Rey del Mundo, especially the Choix Supreme which I think is a great size of smoke – basically a Robusto but a 48 gauge instead of 50, but for whatever reason it has never quite clicked for me as a brand. I really enjoyed this smoke without it being exciting, it was smooth and not that rich, I wanted a bit more spiciness from it. It burned well and kept a good flavour going but that flavour didn’t really develop, good but no more than 16/20. One try is never fair with cigars or wine so I will try again at some stage. 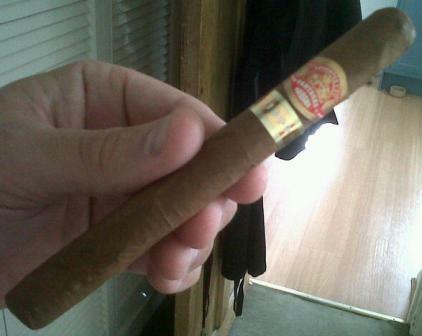 Sunday afternoon was time for a Partagas 8-9-8 (unvarnished – the box not the cigar!) late released from 1999 – this is a great size (6 1/8 by 42) , 45-50 minutes worth of smoking whilst reading the Sunday racingpost (heaven to me!). This smoked and burnt like a dream, full but very mellow, complex too. I will definitely be buying more. It is the first properly aged cigar I have had and like wine I will now be starting to “lay down“ a few boxes with Partagas amongst them.